Models are constantly put in extravagant clothes and made to wear even crazier accessories on the runway. 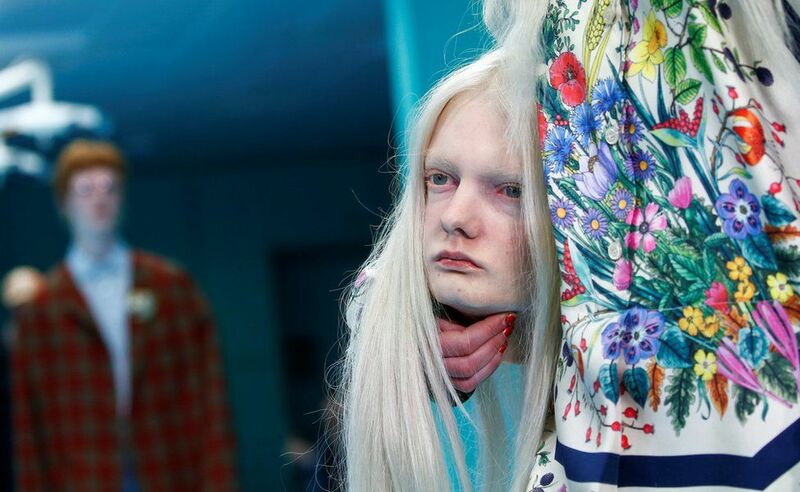 But none quite go as extreme as carrying your own severed head down the catwalk. 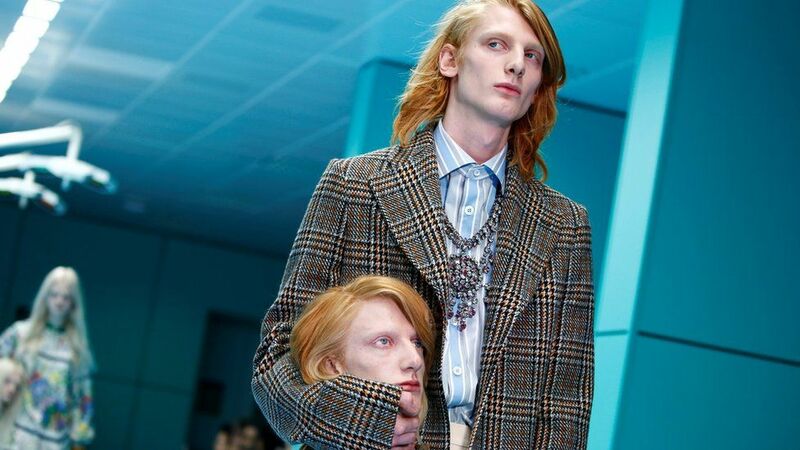 Gucci shocked Milan Fashion Week A/W18 when they had some of their models walking down the runway with surreal replicas of their own heads. The show didn’t stop there though as it went from one shocking element to the next. As well as the heads, Gucci paid homage to Game of Thrones when one of the models carried a baby dragon and another with a baby snake. With Vogue’s editor in chief Anna Wintour sitting front row, models walked through a mock up surgical theatre runway to show off Gucci’s A/W 2018 line. Aside from the strange accessories, the line was a mixture of tailored lines and classic prints, to more street wear material and bling headgear. Tartan made a big appearance at the show from printed suits, skirts and scarves. From head to toe Gucci dressed every inch of their models, over doing it to the maximum. Clear aviator glasses were a big trend accessory of the Gucci line which have become a fashion staple so far this year. From Gucci’s small beginning as a luggage designer, this show encapsulates the growth of the brand and the true cult following it has in the fashion world. And while the show stunned with its surrealism, controversy was not far behind. According to The Sun, Actor and model Avan Jogia criticised the show for allowing white models to wear Sikh turbans on the runway. The use of the Sikh was described by many on Twitter as offensive and questioned the diversity of the designer label. A lot of work went into creating the objects that were carried during the show. Gucci’s creative director, Alessandro Michele reached out “unexpectedly” to special-effects company based in Rome, Makinarium, to create the objects, which took six months to make. From the severed heads and third eyes, to mythical creatures, Gucci brought the shock factor to Milan. And if the aim of using these bizarre creations to garner media attention of their new line, Gucci certainly succeeded.